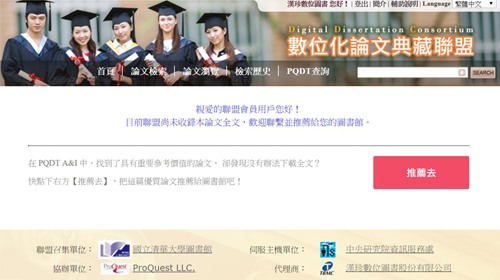 Search for a dissertation or thesis in “ProQuest Dissertation & Theses A&I” and click “DDC Link”. Just go to “I need full text” and fill out the form, you will have chance to win the prizes. 漢珍數位圖書 版權所有 Copyright © 2017 All Rights Reserved.